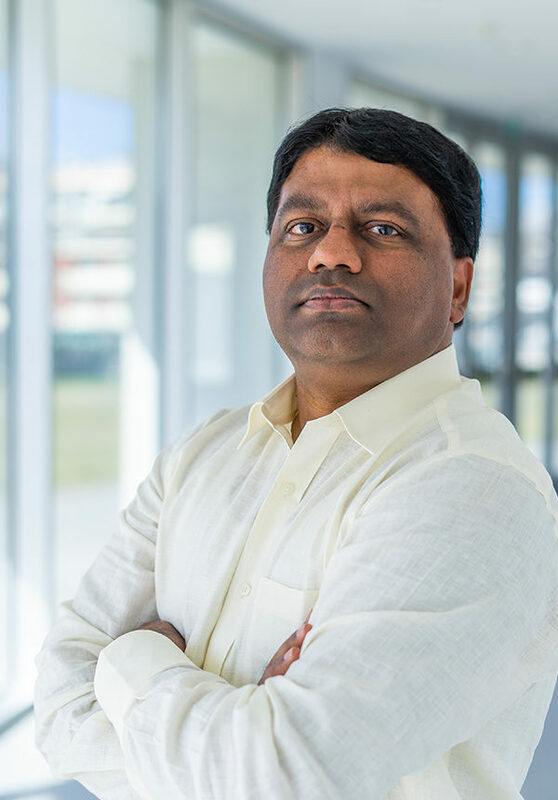 Leonard Deepak Francis is a group leader in the Department of Advanced Electron Microscopy, Imaging and Spectroscopy at the International Iberian Nanotechnology Laboratory (INL). His broad area of research is focused on the use of advanced electron microscopic techniques for the study of materials/nanomaterials for various applications, as well as in the study of fundamental physical phenomena and dynamics at the nanoscale. He also employs the Focused Ion Beam (FIB) technique extensively towards the investigations of nanodevices. Leonard received his Ph.D. in 2005 from Jawaharlal Nehru Centre for Advanced Scientific Research, Bangalore, India. Subsequently, he was a postdoctoral fellow (2006–2008) at the Weizmann Institute of Science, Israel. Leonard has published more than 100 papers and 8 review articles in major international journals. In addition, he has three book chapters. Two of his articles have made it to the cover page of journals. He served as the guest editor for a special issue of the Journal of Nano Materials: Nanomaterial Properties: Size and Shape Dependencies. He has participated in two major European projects: NANOHVAC and NANoReg and three regional projects. Currently, he is involved in several national projects (funded by the Portuguese Science Foundation: Fundação para a Ciência e a Tecnologia (FCT) and the ERDF through COMPETE2020). In addition, he is an acting referee for various ACS, RSC and Elsevier journals among others. More recently he has edited two books entitled “Advanced Transmission Electron Microscopy – Applications to Nanomaterials” – Springer (2015) and “Metal Nanoparticles and Clusters: Advances in Synthesis, Properties and Applications” – Springer (2018). Leonard also holds 3 joint patents. His articles have been cited over 2000 times in total and have an h-index of 26. Adv. Sci., 2019, In Print.